Blood is life. 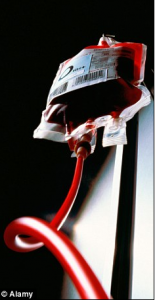 In transfusions it saves millions of lives every year. 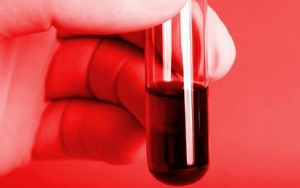 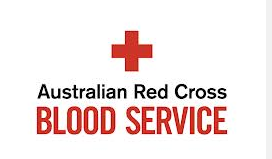 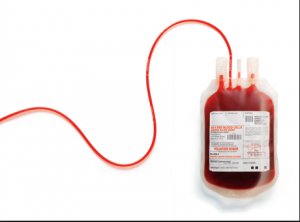 Blood also provides plasma – a precious liquid used in the manufacture of various medical products that are indispensable, particularly for haemophiliacs. 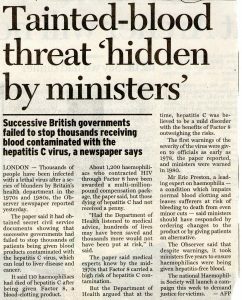 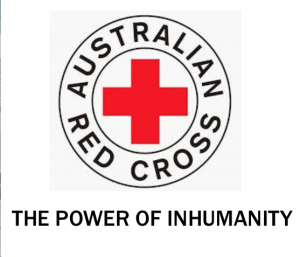 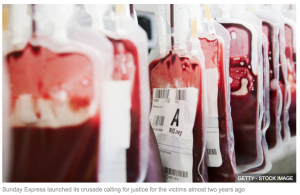 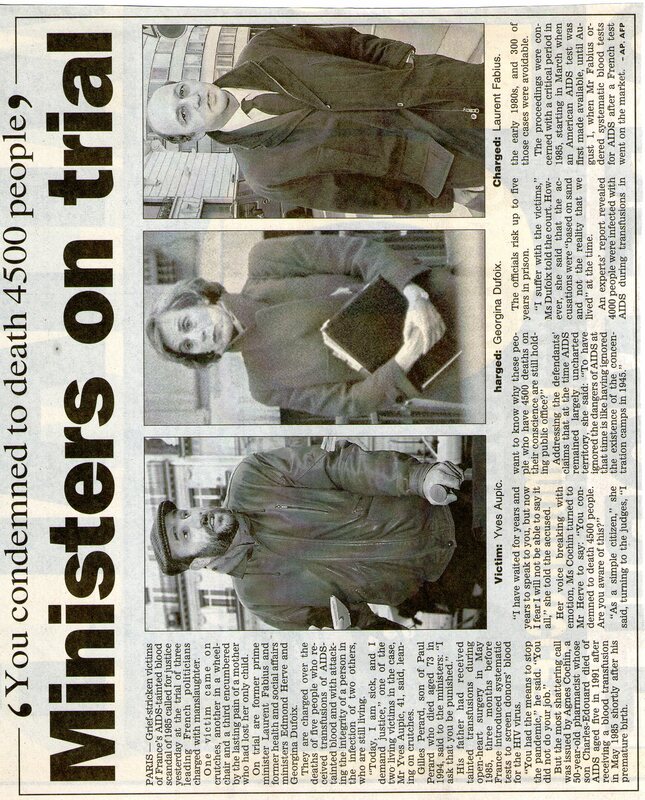 But between 1980 and 1988 the lifesaving act became synonymous with death throughout the world; 30,000 haemophiliacs and tens of thousands of transfusion recipients were victims of blood that was infected with the Hepatitis C and HIV viruses. 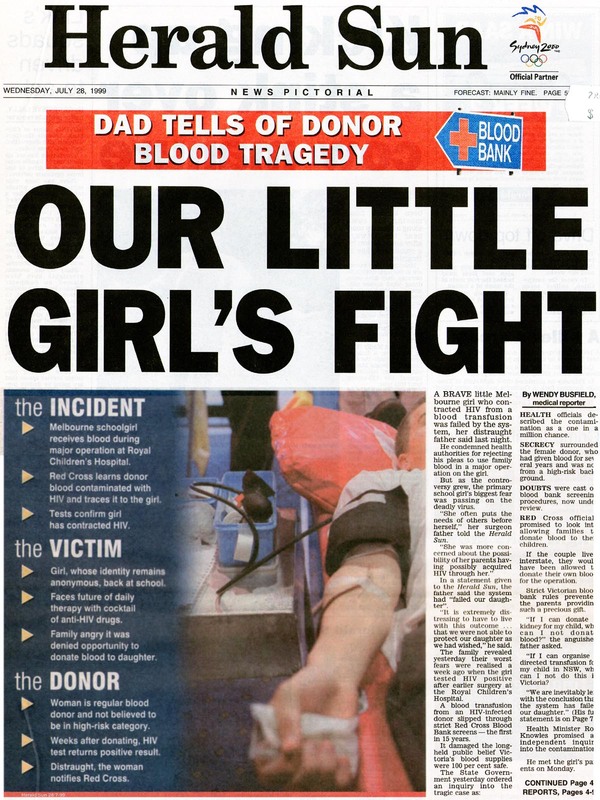 This is the blood scandal. A single product requires the blood of thousands of donors yet a single sick donor is enough to contaminate everything. 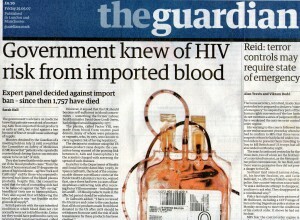 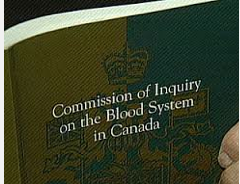 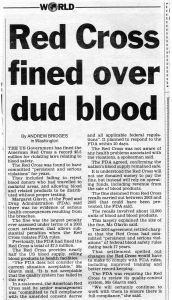 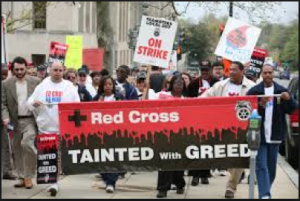 In the USA, Canada, Japan, Germany and France, the contaminated blood affair was the biggest medical catastrophe of the century. 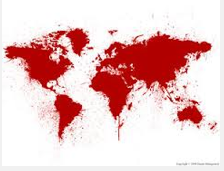 Cynicism of blood industrialists, incompetence, negligence, corruption and blindness of certain governments and certain sections of the medical profession, the catastrophe is still with us — men, women and children are dying every single day. 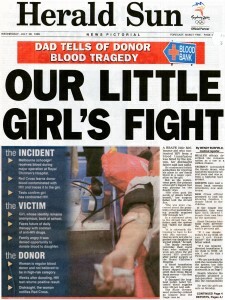 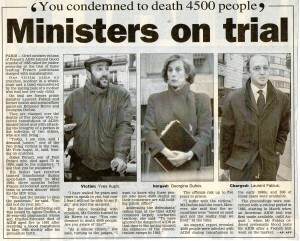 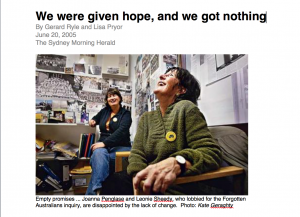 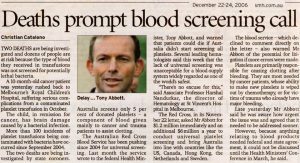 …”A Blood Scandal” , SBS TV, telecast 12 June 2001.